Spring has always been my favorite season. I love the soft shade of green the leaves have has they begin to bud and how everything becomes dusted with a healthy layer of pollen. Just when I can't stand the cold any longer everything seems to come alive. 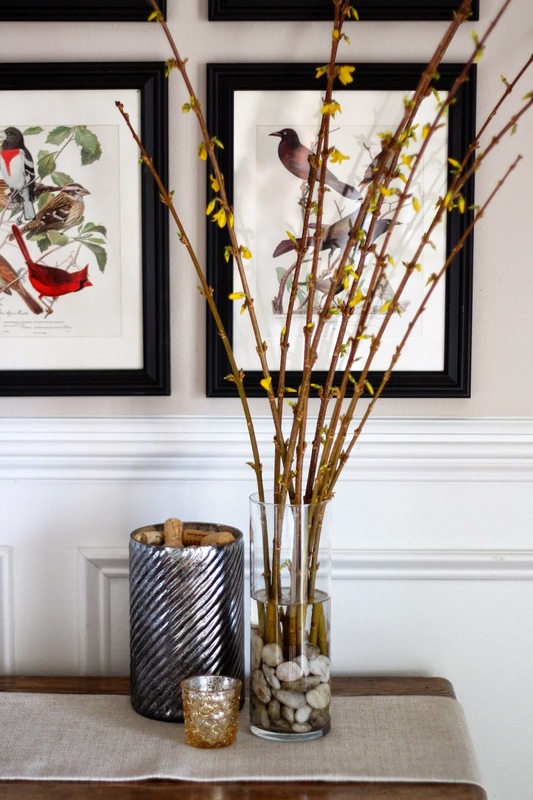 I was lucky enough to pick up these forsythia branches at Whole Foods over the weekend. 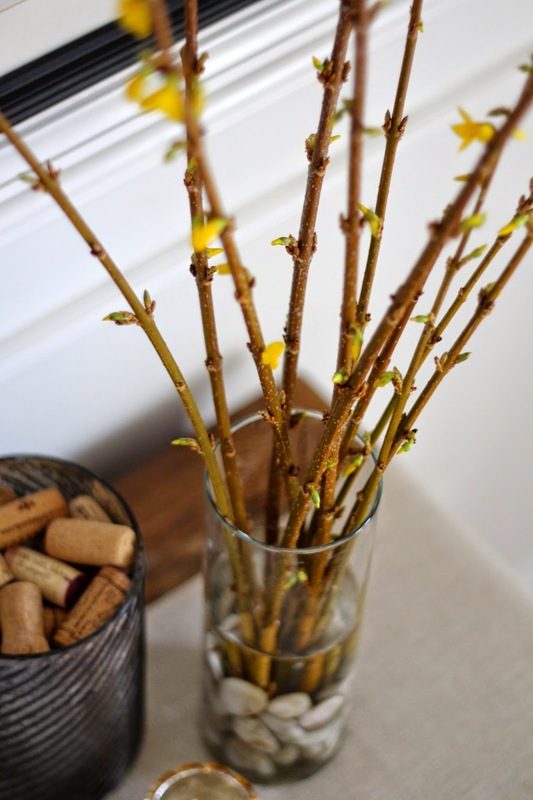 Nothing brightens up my apartment this time of year like a vase full of budding branches. 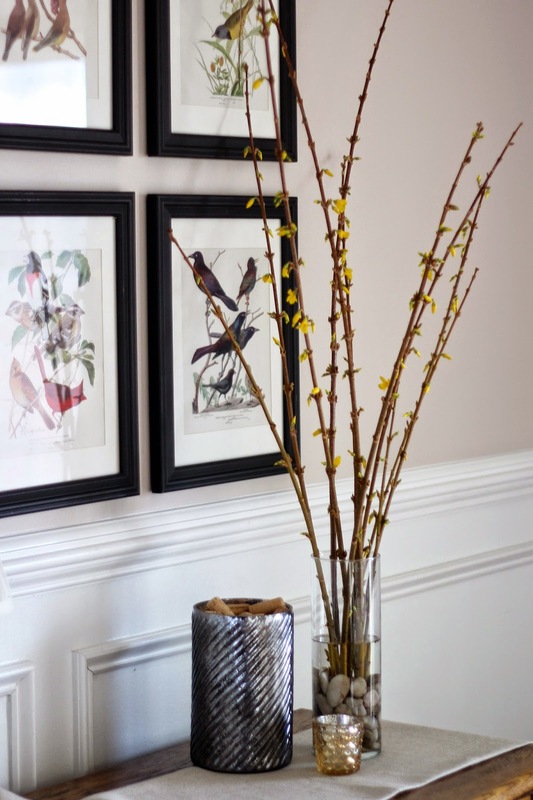 I chose forsythia because it is native to Charlottesville, but feel free to use whatever is local in your area. 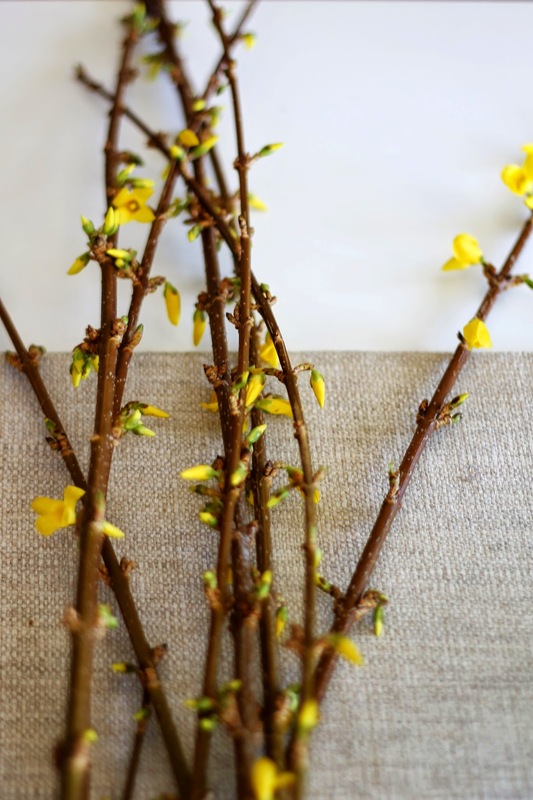 Trim the ends of the branches to your desired height. Cut an X in the base of the branch with your sheers, this will allow greater water absorption. 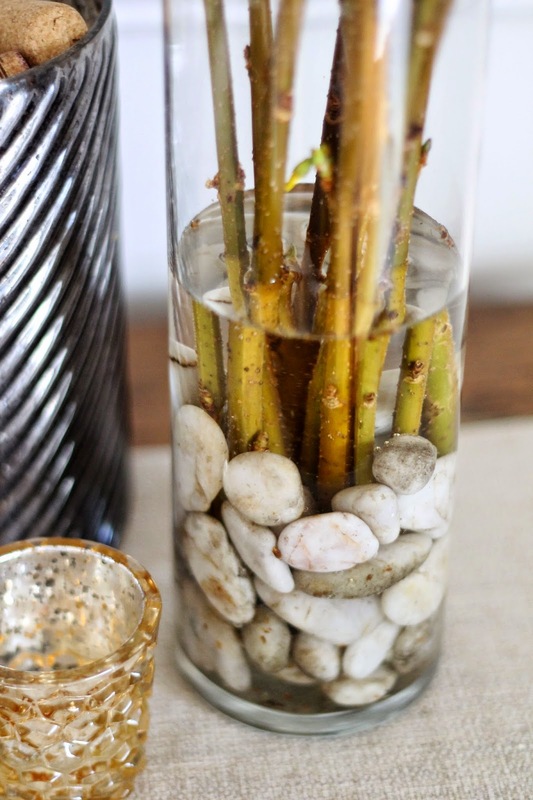 Place rocks a quarter way up the vase, this will keep the branches in place. Arrange branches to your liking. I suggest putting the taller branches towards the back, and letting the rest fall naturally. If needed, add additional rocks to keep the branches in place. Fill with vase with water. Change water every other day.